Occupational health and safety, as well as effective actions to protect the environment have always been the fundamental values ​​of the Saint-Gobain Group. 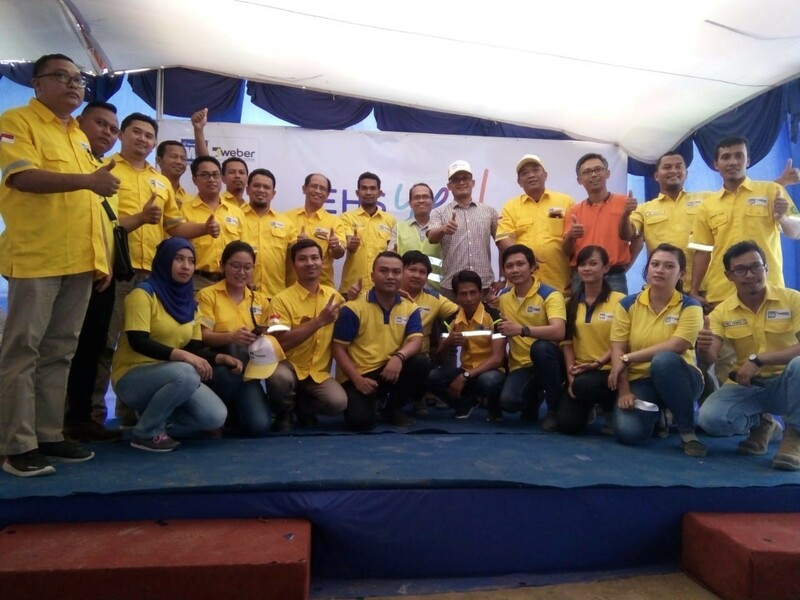 As a concrete manifestation of these values, MU-Weber, which is part of the Saint-Gobain Group, held Environment Health and Safety (EHS) Day, that was held in conjunction with the 22nd anniversary of MU-Weber in Indonesia. 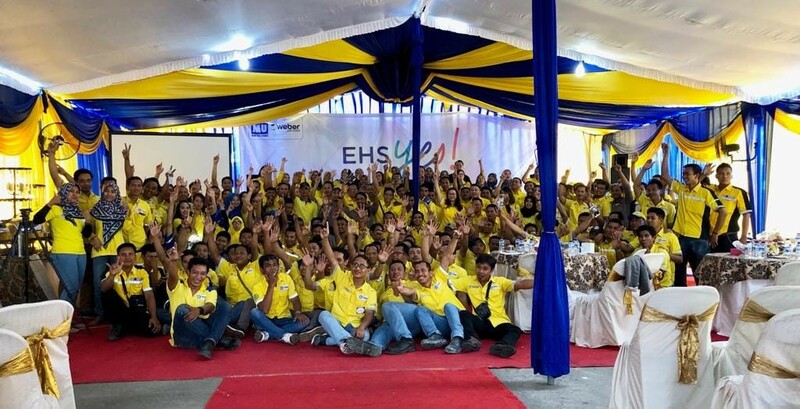 EHS Day was held simultaneously on October 9th, 2018 at MU-Weber Head Office in Jakarta, 8 MU-Weber branch offices, and MU-Weber factories in Cibitung, Cikande, Gresik, Semarang, and Medan. Attended by all employees of PT Cipta Mortar Utama, the event was held with the aim of strengthening the commitment of all parties related to the MU-Weber business in creating a healthy and safe work environment. An explanation of the importance of healthy and safe work environment, which was delivered via video by the Chairman and Chief Executive Officer of Saint-Gobain, Mr. Pierre-André de Chalendar, and Managing Director of Saint-Gobain Indonesia Construction Product Sector, Mr. Jose Martos, opened the event. Through this explanation, MU-Weber wants to always ensure that each of its workers can work safely at all times. 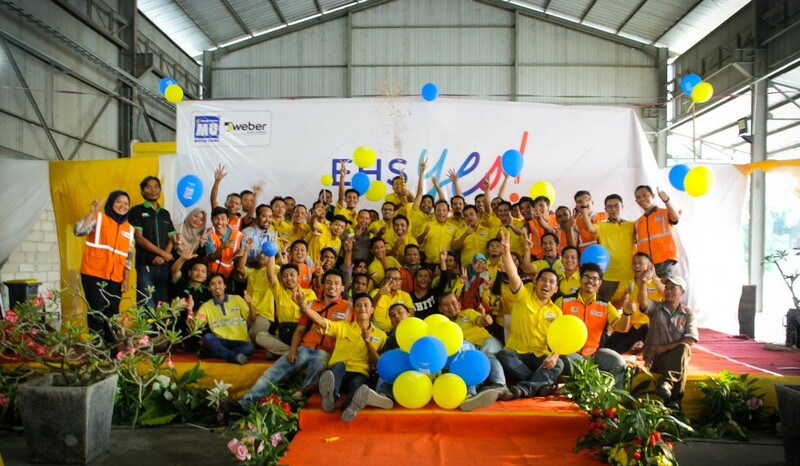 The event was then continued with the celebration of 22nd anniversary of MU-Weber in Indonesia. This celebration became a form of MU-Weber’s gratitude, as it could serve the community as well as support the development of the country with high quality mortar products for 22 years. Through this event, MU-Weber hopes to be able to always provide the best, and can raise awareness about the importance of workplace health and safety. 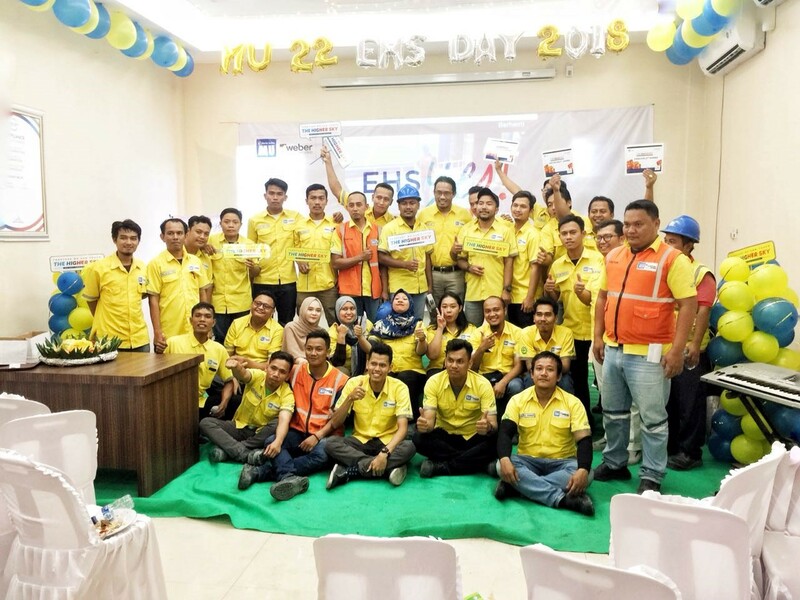 EHS Day and the celebration of 22nd anniversary of MU-Weber in Head Office MU-Weber, Jakarta. 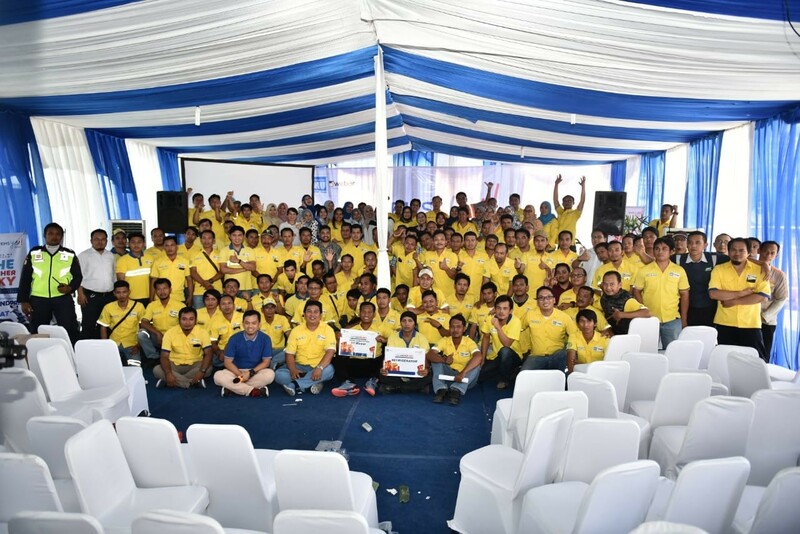 The togetherness in MU-Weber Cibitung Plant. The event festivity in MU-Weber Cikande Plant. 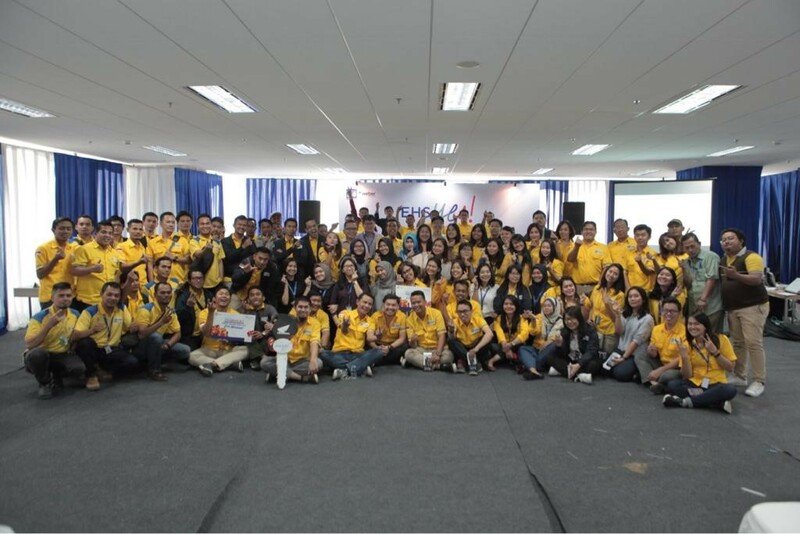 The festivity of the event in MU-Weber Medan Plant.